After dinner Charles Bingley was intent on receiving the stream of callers his sister had predicted, and so he cheerfully led the entire party to the drawing room. But word must have had spread that there was sickness at Netherfield, or else the storm kept people at home. Only one person was waiting for them: Mr. Collins. He rose to his feet. “My dear Mr. Bingley,” he began, with impressive formality. “My dear Mr. Bingley,” began Mr. Collins again. “Does anyone know how to play How, Why, When, or Where?” said Emma Woodhouse. “Mr. Bingley,” repeated Mr. Collins. Immediately Darcy was on his guard. He had played this one before. Apparently Collins had too, for his expression was eager. Vividly Darcy recalled the twisting and turning and stepping through, often at very close quarters. Collins—and Tom Bertram—must not be allowed to come smash up against Elizabeth Bennet like that. Had he truly suggested this? But the word dancing acted like magic. Darcy was voted a capital fellow; Bingley and Bertram began rolling back the carpet. “Will you play for us, Miss Bates?” Darcy enquired. “I will play,” said Emma, and she opened the pianoforte. “You must dance, Miss Bates. Country dances,” she added, over Miss Bates’s objections. “I’m sure you remember how.” She spread her fingers over the keys and played an opening chord. Elizabeth’s startled eyes met his; he could see the refusal forming on her lips. “He is coming this way,” Darcy murmured. Elizabeth looked round. 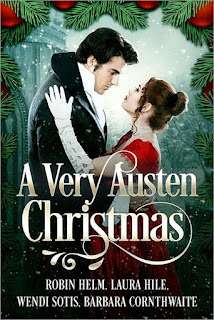 Laura Hile is kindly offering an ebook giveaway of A Very Austen Christmas to a commenter on this post. To enter, just leave a comment below by the end of the day on Friday 24 November. Do you play any Christmas games? Reverend Crawley's game sounds fun, doesn't it, especially with Mr Darcy... but not so much with Mr Collins :) Please makes sure you leave me a way to contact you in case you are the lucky winner. Thank you so much to Laura Hile for stopping by, and all the best to all the authors for the success of this Christmas anthology. Oh, this sounds very holiday interesting!! I love this!! Cannot wait to read it in its entirety! Hi, monkee! We hope you'll enjoy the mix of authors and stories. Our styles are very different, and we all adore the works of Miss Austen. Good luck in the giveaway! It's a good excerpt isn't it Monkee! I hope you enjoy the book when you read it. Christmas and Mr. Darcy -- even in the snow (as he is on the cover), it's a delightful combination. Thanks for entering Ceri's giveaway. Good luck! I love all of Laura's books, and this story is a wonderful example of her writing. Thank you for entering the giveaway. Good luck, Glynis! Glynis, you are so right! He did save her *twice* from Mr. Collins! Gotta love that man. I suppose dancing with Collins is not as bad as being squeezed up against him in Reverend Crawley's Game. Glad you enjoyed the excerpt Glynis! Yes, we are grinning about that. Somehow, after the designer put the moonlight on Darcy's hair ... ah well. We loves the cover, even with a touch of Elvis. Hi, teaguide. Look at Bingley's hair in the 2005 Pride and Prejudice. Our cover model's hair is WAY better than that. Ha! 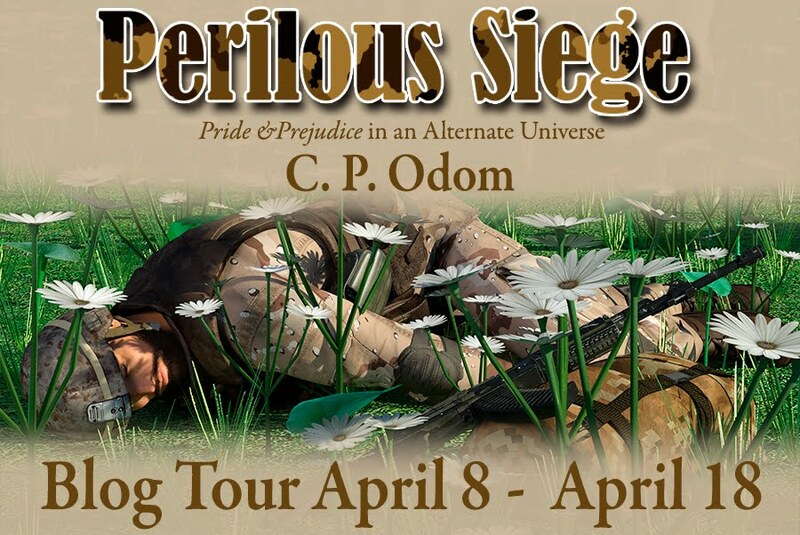 This book sounds so fun and I just added it to my TBR List. Thank you for the great giveaway and I hope everyone has a great Holiday Season. I'm so glad you entered this giveaway, Chelsea. These stories are just so well done. With this book, I get to be a fan as well as a contributor! Hello, Chelsea. I hope you enjoy our stories. Merry Christmas to you, too! I cannot seem to write Darcy and Elizabeth without including, you know ... Mr. Collins. The opportunities for comic relief are too rich to resist. Good luck in the giveaway, Sophia Rose! Laura's work is always full of witty banter and unusual twists. That's why I adore it and read everything she writes. I hope you enjoy it, Sophia Rose! Good luck! Loved this excerpt and can't wait to read these delightful stories! Yes,Darcy,ever the gent,decides dancing is preferable to Elizabeth being in close confines with 'them'...! Cheers for such a lovely post! Thanks, Mary. As I said to Sophia Rose, if Elizabeth is in a story, Collins must show up. Oops! No spoilers! Good luck in the giveaway, Mary! Hi, Mary. So glad you enjoyed the excerpt. Laura's story is wonderful from beginning to end. Oops, should say book - it is 4 stories. Sheila, I discovered that it is not easy to write a short story! The Christmas Matchmaker kept wanting to be a novel! Hello, Sheila. Writing short fiction isn't in my make-up. In fact, I well to cram it into a novella. I kept adding scenes and editing out what didnt' have to be there. Thank you for the lovely review. Good luck, my dear! This was so much fun. In that last excerpt, you can plainly see where everyone's preferences lit. Tom Bertram was clearly hoping to line his pockets with Bingley and Darcy wealth. Poor man. Blessings to all the authors on the launch of this work. I love this post Ceri... thanks for hosting. Thanks for entering the giveaway, J.W. Jane makes it too easy to have a complicated plot, simply because her people are such fun to watch. These stories are very well done -- something for just about everyone! Hello, J.W. Garrett. Wasn't that excerpt terrific? Laura has such an amusing, witty writing style. Ah, the fun of a group puzzle. We used to have one out every time our family went to a cabin in the mountains -- tradition! Hello, BookLuver88. We like to do family jigsaw puzzles, too. I guess our Christmas game would involve the gifts and stockings. There's a certain pattern we follow, and bless you if you deviate from the rules! We loves seeing Darcy push out of his comfort zone, especially when he's thwarting Mr. Collins! Thanks for entering the giveaway. Good luck! Hello, Carole! I just mailed Christmas presents for my grandchildren. We won't be able to get together until January, so I'm a little jealous of you. Just a little. Enjoy it, Carole! My kids are starting to get to the age where they have less in the way of toys they need help with, and I miss it a bit. I am reading this book right now and enjoying it tremendously! This would make an excellent Christmas gift for the JAFFee on your list. Aw, Brenda, thanks! You are still "in it to win it," you know. If your name is drawn, we will gladly send the eBook prize to a friend of your choice. These stories are very well done -- if I do say so myself! I am a contributor of one, but an enthusiastic fan of three. What great news, Brenda. I always loved your stories, and it warms my heart that you enjoyed ours. Glad you enjoyed the book, Brenda! Only mine and Robin's were at Beyond Austen ... for a short time. How challenging it is to write a short(er) story! My hat's off to those who can. Both mine and Robin's wanted to become novels, ha. And then there's the cover. We are still gaze sighingly at it. Thanks for entering the giveaway! Good luck! Hello, Jen! I hope A Very Austen Christmas adds to your holiday season. We all enjoy writing it for our readers. Good luck in the giveaway, lovely lady! Heartwarming with a twist? I love that, Eva. 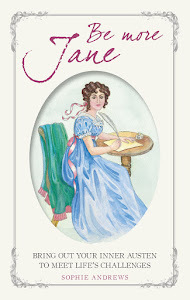 I blame Jane for my penchant for Austen mash-ups. She created such irresistable characters. How can I not use them together? Eva, are you a writer? Do you review? If not, you should. Your post is lovely. I think I may lift some of it for our "What Readers Are Saying" on Amazon, if you don't mind. Doesn't it sound fun Eva! You are so right, darcybennet. Poor Mr. Darcy was desperate indeed to suggest that! My grandmother, born in 1898, told me about the good times she had as a teen. As in The Christmas Matchmaker, she and her friends played parlour games. Better yet, everyone played an instrument -- not always very well, but well enough. So whenever there was a party, my grandma brought along her violin. "We would roll back the carpets," she told me, "and half of us would play while half of us would dance. And then we switched. What fun we had." Hello, darcybennet! I think Darcy would do almost anything to escape games such as Rev. Crawley proposed. Good luck in the giveaway! Thank you for entering. No traditional games played for Christmas here, unless someone has been given a game for a present. Then we like to try it out! My (adult) sons have introduced us to the fun of games. This is what they do with friends instead of, say, watching sports or movies or just sitting around. So at some point this Christmas -- and probably on Thanksgiving too -- we will play 7 Wonders and Exploding Kittens (of Kickstarter fame) and whatever else they've added to the collection. Thank you for the kind words about A Very Austen Christmas. We smilingly call it "the book that friendship built" -- because it's true. Greetings, Ginna! We do the same thing. We play with games if anyone is given a new one. Sometimes I give them as gifts just so we will play. I love all sorts of games, especially Apples to Apples and Trivial Pursuit. We also play 21 questions. Thank you for commenting and entering. Good luck! I've read several great reviews and I look forward to getting my hands on this book! Maria, hello! Hey, thanks for your interest in A Very Asuten Christmas and for entering the giveaway. Good luck! Hi, Maria! Good luck in the giveaway! Hope you enjoy it, Maria! That was a great excerpt! Thanks for sharing it, Laura. So the The Christmas Matchmaker has Tom Bertram from Mansfield Park appearing which is a mash-up of three Jane Austen's novels. Woot woot! A Persuasion-themed story should be nice to add to the collection. Susan Kaye was unable to join us in this anthology. She would certainly have brought Captain Wentworth and Anne into the mix! Good luck in the giveaway, Luthien. Hi, Luthien84. Susan may join us for our next anthology, coming in January 2019. If you like this one, you'll love the next one. Christmas games sound like a lot of fun! I suppose the only ones I’ve done are the Secret Santa / Yankee Swap kind. My sons have us playing board games, such as 7 Wonders, where everyone can play. What fun it is to be together! Thanks for entering the giveaway, NovElla. Hello, NovElla. We tried to play Quelf with our daughter and her husband (27 years old), but they squashed my husband and me. I won Sequence every time, so nobody wanted to play that any more. Ha! They sound fun, don't they. I am learning a lot from Laura and Robin's comments, too . I think we have different board games here in the UK, because I haven't heard of a lot of the ones they are mentioning! All four of the stories sound like they will be fun reads. Emma Woodhouse and her matchmaking - that is just a recipe for hijinks! On my TBR. I know, right, Gerry? Once the idea of gracious, well-born Emma confronting the likes of Caroline Bingley, presented itself, I had to bring her to Netherfield. Hijinks indeed! Hi, Gerry. I very much enjoyed reading the stories by Laura Hile, Wendi Sotis, and Barbara Cornthwaite. They were all fun reads. I think you'd like them. Yes, definitely, Gerry! Including Emma in a story is a recipe for causing mischief. My son-in-law is very heavy into board games and created one of his won which was highly rated: Dwarven Dig. In fact he used to be part owner of a game store in Seattle Washington where they had groups which met weekly to play board games, i.e, Dungeons and Dragons. Both of my brothers used to be really into Dungeons and Dragons games but I would think with the rise of online gaming they would be less popular with kids these days. I worry for the development of my children's imaginations sometimes.